Manufacturing the meme: Can you create Web virality? We cover a lot of viral videos here on Digital Trends, and most times it’s not even because we need to but because we simply had to share them. Viral videos, pictures, and Internet memes have wildly blown through the Web in the past half decade and left the rest of us wondering: Can you manufacture virality? 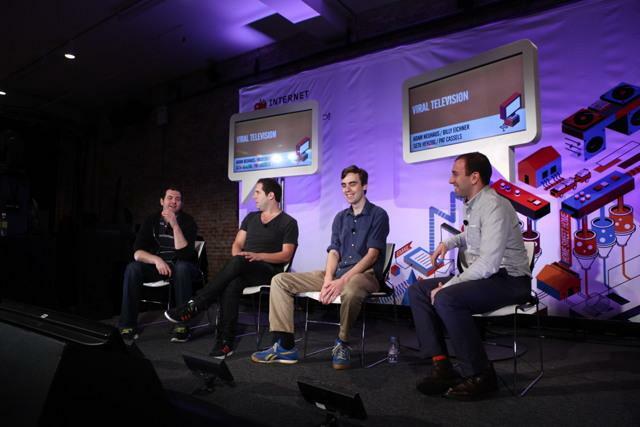 This was the topic of discussion at one of the first panels to kick of Internet Week New York 2012 as “Viral Television” was lead by Pat Cassels from CollegeHumor, Billy Eichner from Funny or Die’s Billy on the Street, and comedians Seth Herzog and Adam Neuhaus. The four joked their way through the talk, jabbing their inputs at what makes things viral and if you can optimize your content to become a worldwide phenomenon. Eichner, whose show ventured into the television realm after Fuse picked up his series, features him asking ridiculous pop culture questions to unsuspecting people on the street. He believes a lot of virality has to do with timeliness and relevance as well as something reactionary that everyone can adapt into their own voice. Billy on the Street started out on the Web before he made his topics about the Oscars one day, which made the content more “bloggable” to viewers to share and have an input. There are two categories of viral videos: Those that aren’t supposed to be seen by anyone and others that are created specifically to get passed around the Web. The discussion also leaned toward comedic content as more of a successful viral factor because laughter “is quicker” and can immediately grab the Internet’s attention span in a world full of generic videos, photos, and one-liners off Twitter. And that’s exactly where the panelists believe people should market and share their viral content as well. “If you follow the right people, it’s a great filter for finding out what’s happening,” Herzog said. “That’s where I find what’s viral.” Using the judgement of friends and trusted sources help add credibility that the content shared is worth viewing. So how can you turn something into what’s bigger than a tweet? Shifting the focus back on the panel’s title of Viral Television, the four speakers focuses on repetition of characters and likable charms of television personality, hoping a spinoff can organically spawn on its own. Take for example, Parks and Recreation‘s Ron Swanson who inspired a wooden mustache comb in honor of his iconic facial hair or the Mad Men YouTube 8-bit Choose-Your-Own-Adventure game. The quirks about each characters on the show may not necessarily make the show, but collectively allow for enjoyment for both on television, the Web, and even in real life. To catch a recording of the full Viral Television discussion at Internet Week New York, visit the official Livestream for a full recap.